I designed these mobile game and app projects for Hard Boiled Industries, my 2-person dev. shop. I coded them using Corona SDK/lua as well as created some of the art and animation. I was responsible for sound design and even created a few original music tracks. These were published on several app stores across multiple platforms. 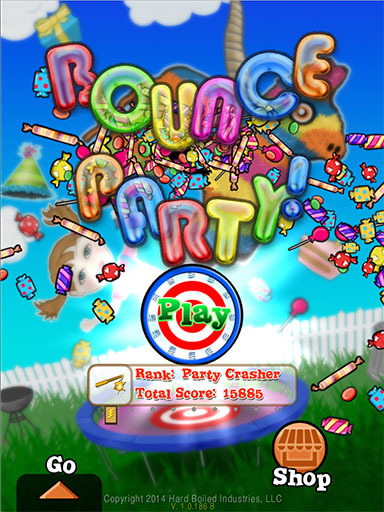 Bounce Party is a work in progress action/arcade game for all ages. Players use a single finger to control a 2D rag doll character as it is affected by physical forces like gravity, collisions, and, of course, bouncing. I designed and programmed the game, UI, and created all music/SFX, and some of the art. My wife and business partner, Barbara Pollak, created the majority of the art. 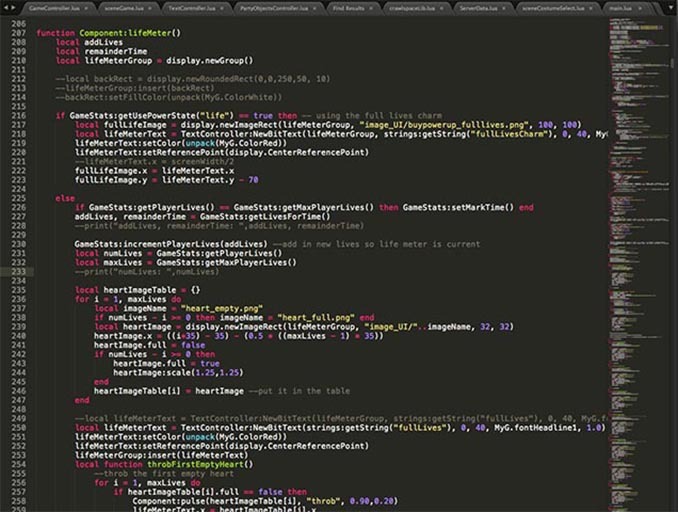 SublimeText is my editor of choice when coding apps. 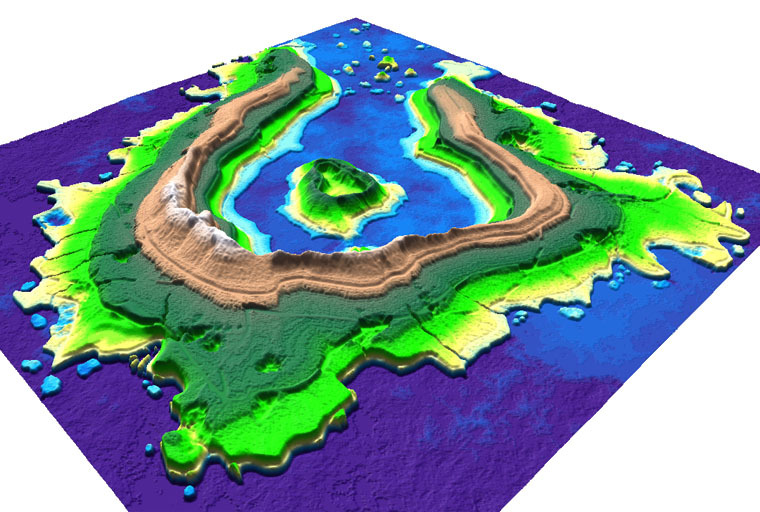 It plays nicely with Corona SDK, the cross-platform Lua development tool I use. 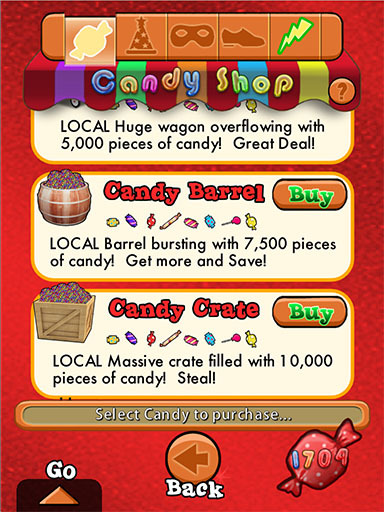 Candy is the in-game virtual currency of Bounce Party. 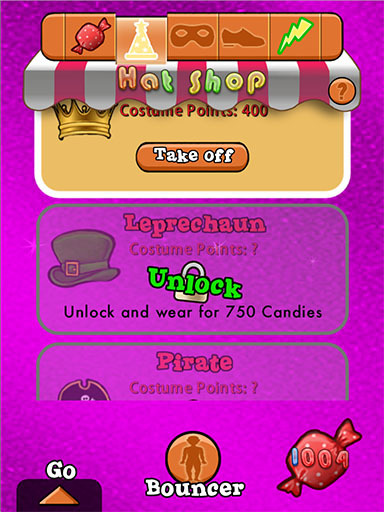 You earn Candy by completing levels, and can buy more from the Candy Shop. 72 Levels spread across 3 “worlds”, with more planned for the future. Mix and match costumes from the Hat, Mask, and Shoe shop. 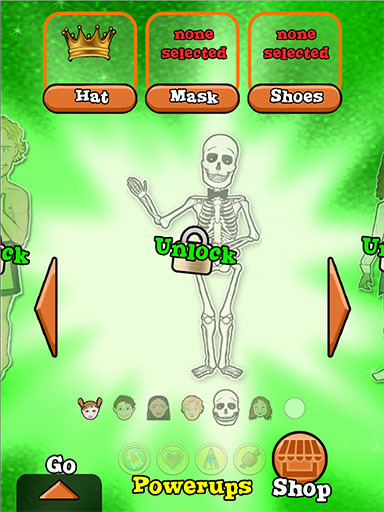 Costume combinations enhance your score, as well as customize your character’s appearance. Dozens of costume items to choose from. 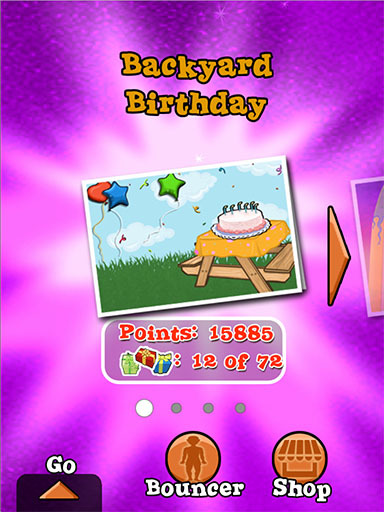 Powerups are another way to improve your score and enhance the game. 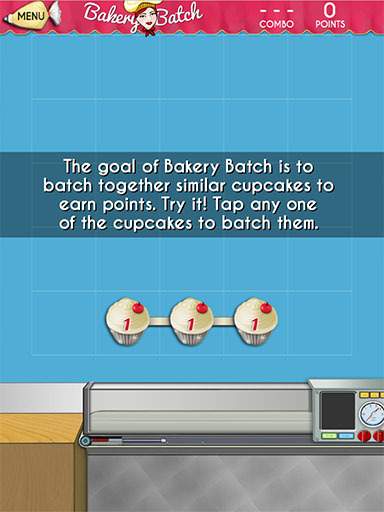 Bakery Batch is a casual mobile puzzle game for all ages. 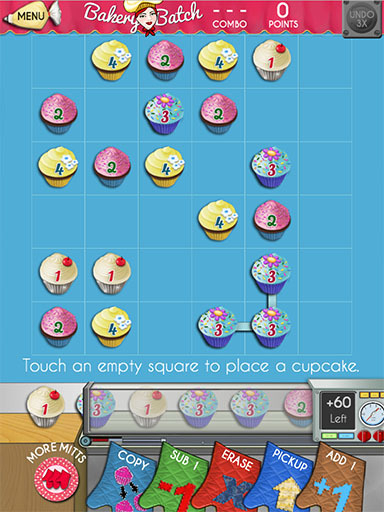 Players try to combine and “chain” cupcakes of various types. 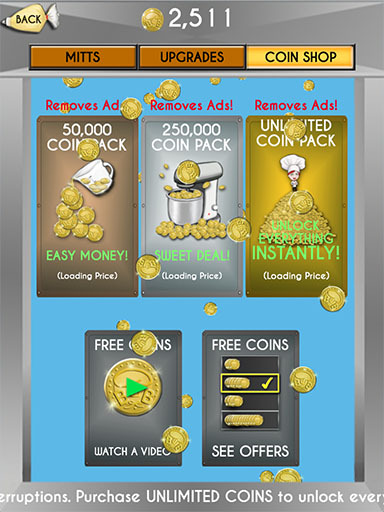 It is based on the mobile game Chip Chain designed and programmed by Aaron Isaksen. I licensed the original code base from Aaron, but what I thought would be a quick re-skin project turned into a something a bit more complex. I ended up doing quite a bit of programming to get the project out the door. Again, my wife Barbara Pollak created the majority of the art. We launched on Google Play, then followed on Apple and Kindle Fire app stores. 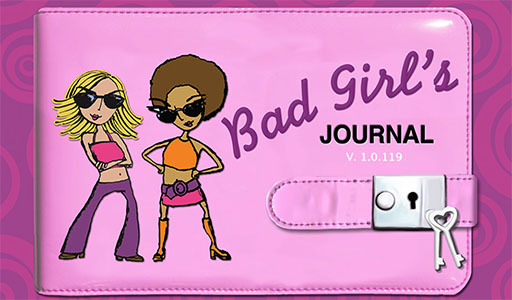 In partnership with with author Cameron Tuttle I designed and programmed a productivity app based on her popular “Bad Girl’s Guide” traditional book series. The goal was to create a secret journal app that provides more than simple text entry. It needed be fun and have a sassy attitude for a young adult, female audience. Check the slides to see what we came up with. Launched on Apple, Google Play, Amazon Kindle, and B&N Nook stores as a paid app. Text on each page can be formatted with simple size, font, and color controls. Topics and moods can be set for each entry. 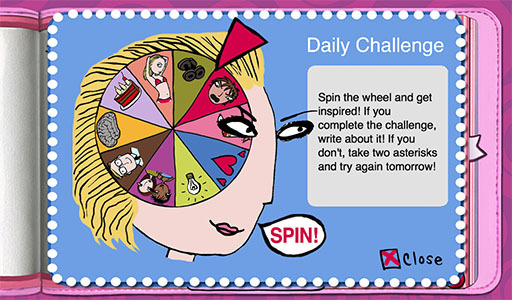 The Daily Challenge gives users a chance to spin the wheel. Hundreds of Hhumorous challenges across ten categories provide relief from writer’s block. The user can apply, rotate, and resize supplied stickers as well as photos from their device’s library or camera. Another fun activity, “Ask a Bad Girl” allows the user to ask any question and pose it to one of four characters, each with a distinct personality. Cameron provided in-character phrases that I then used to piece together a complete custom response based on keywords found in the user’s question. 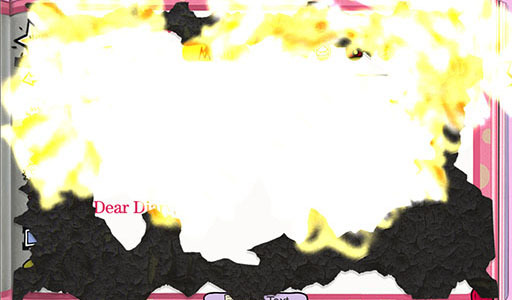 Unwanted pages are deleted by setting them on fire with a match! 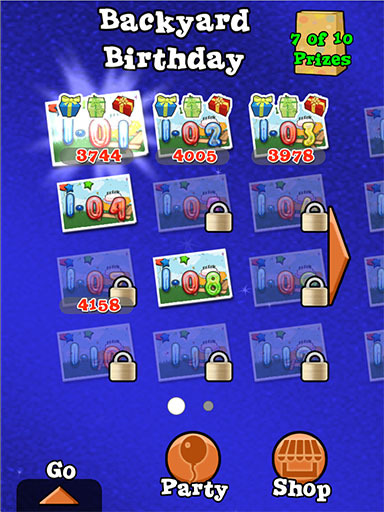 The user can choose to activate a lock protected by a secret password alias. 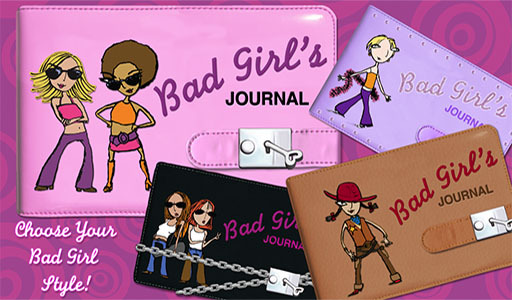 There are four theme choices: Swirl”, Bling”, “Leather”, and “Cowgirl”. Hand coded ebooks, also published by Hard Boiled Industries. 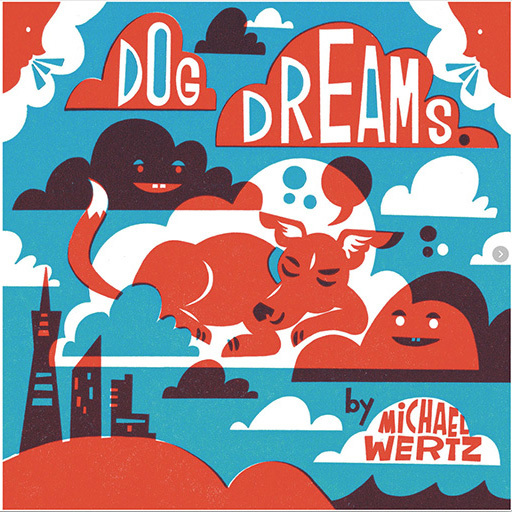 Dog Dreams is an enhanced children’s iBook for iOS, based on the traditional board book by writer/illustrator Michael Wertz. 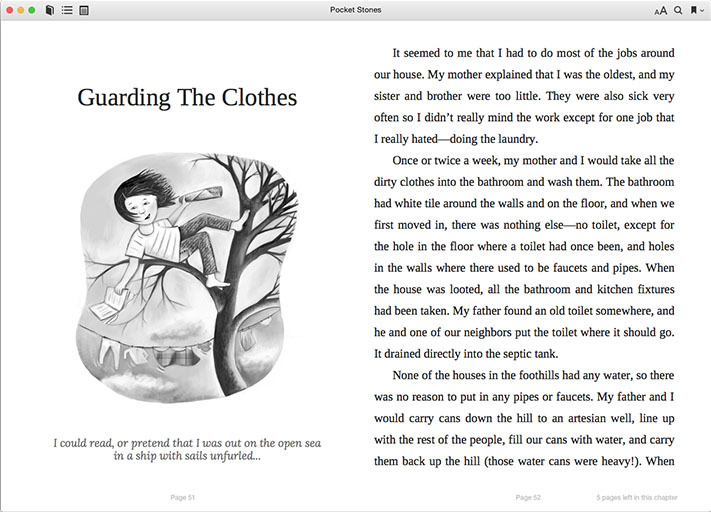 “Enhanced” is a special type of picture ibook for Apple devices with additional interactive and sound features not available in a standard ebook. 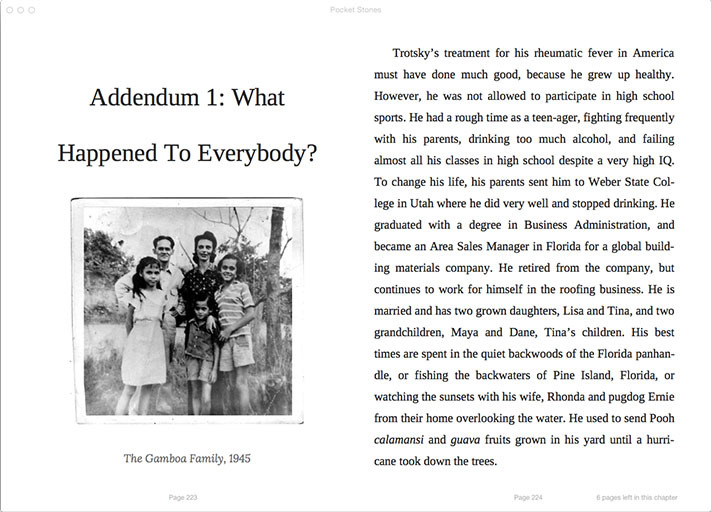 I developed the ibook such that the reader can choose to listen to the original author read the book aloud while the text is highlighted, word for word, in sync with the audio. There is also a background music track. Additionally, I created a short documentary video detailing how the author created the hand printed version of the book using a traditional printing press. The video is included as a page within the ibook. Getting the text to highlight in sync with the audio track required each page to be hand coded with an .xhtml file, a .smil file, and an audio .m4a file. I used Audacity to break down the time and duration of each word. 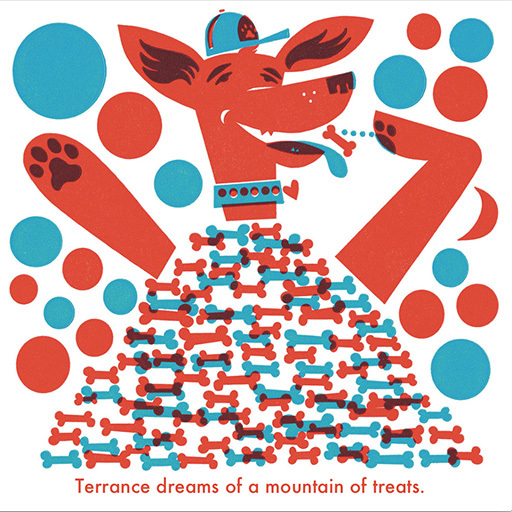 The “making of…” video of the original board book. 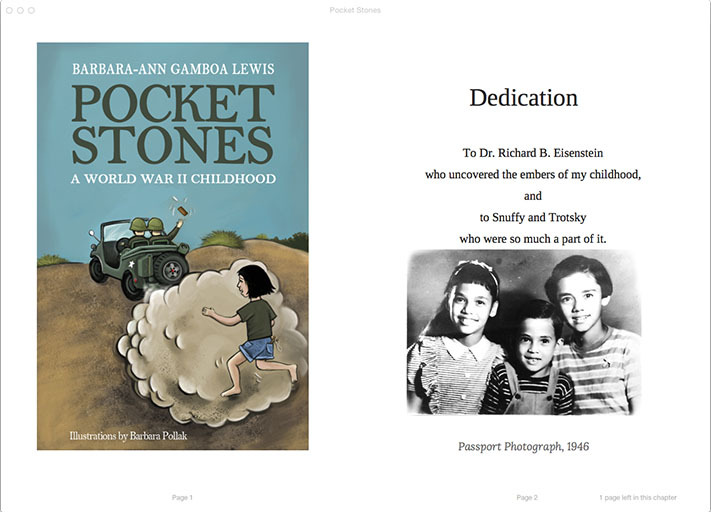 Pocket Stones is an ebook edition of an autobiographical juvenile chapter book with illustrations, written by Barbara-Ann G. Lewis. To generate the .epub and .mobi files necessary to publish on Amazon Kindle, Apple iBooks, and Barnes & Noble Nook stores, I used Vook, an online, WYSIWYG ebook editing tool. For this ebook edition we added extra content not included in the print version of the book, including new chapters, several addenda and photos by the author, and additional illustrations. Downloadable PC/Mac casual 2D Games developed by Big Splash Games, a 3-person dev. shop of which I was co-owner. I co-designed and art directed all titles, as well as created much of the final art. 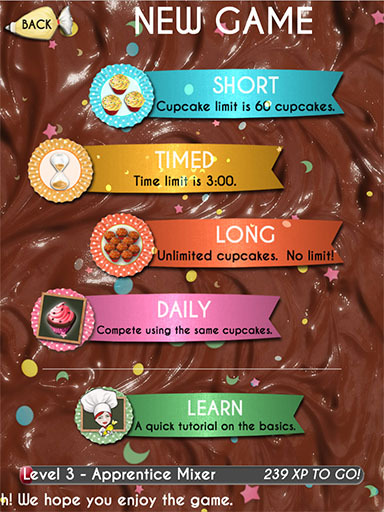 Chocolatier is a series of casual games we designed and developed for Playfirst. 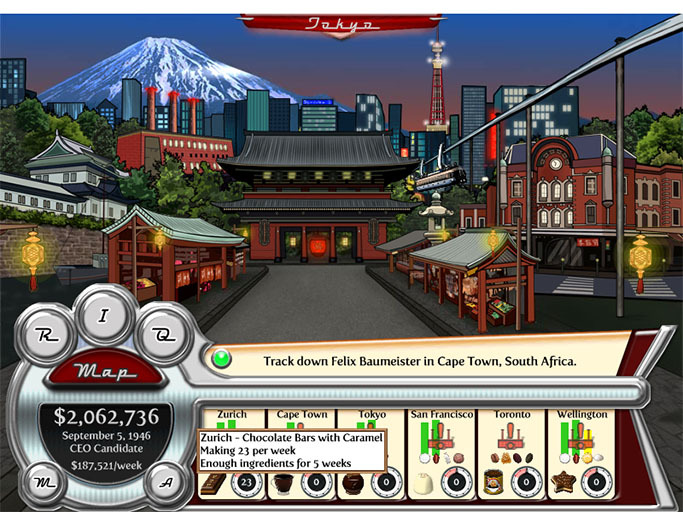 It became a successful “tent pole” franchise for Playfirst with tens of millions of downloads for the three original titles we developed, Chocolatier, Chocolatier II: Secret Ingredients, and Chocolatier III: Decadence by Design. I came up with the original concept, served as co-designer, art directed teams of remote artists, as well as created art, UI, and animation assets. 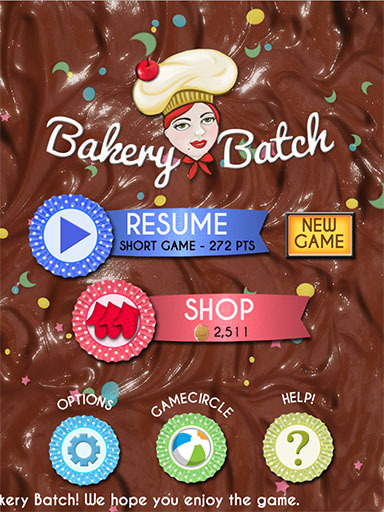 Due to Chocolatier’s popularity Playfirst spun off various ports, translations, boxed and mobile versions, and even a Facebook MMO based on the Chocolatier universe. Chocolatier involves traveling to exotic ports to buy the ingredients needed to manufacture recipes as well as to sell the finished products. Players explore different locations in each port city and interact with local characters to complete quests, discover new recipes, and unfold the story of a multi-generational chocolate making family spanning iconic periods in history from the late 19th century to the post WWII period across all three titles. 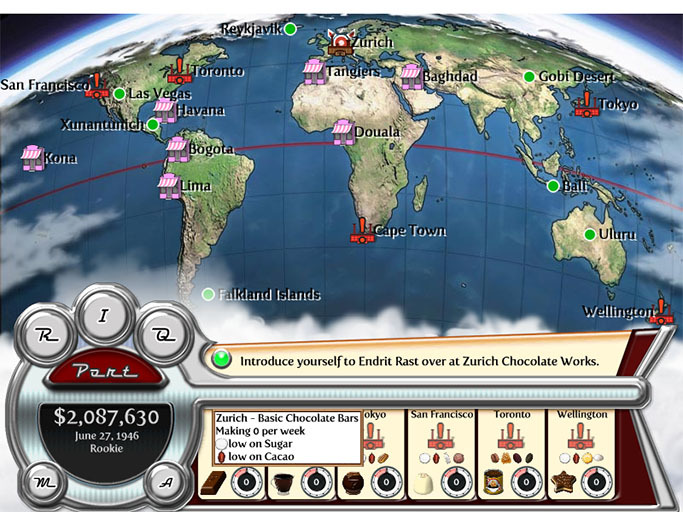 Players expand their chocolate making empire by unlocking new cities, building chocolate factories, and eventually franchising chocolate shops across the globe. 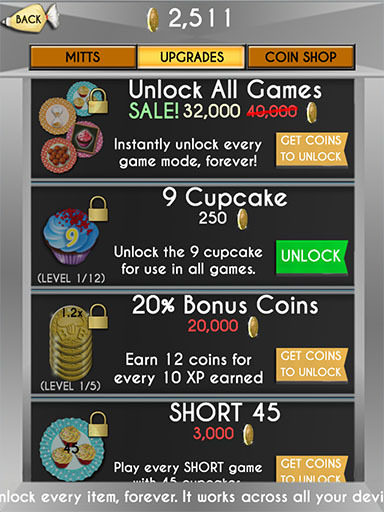 A chocolate making mini-game is an interesting action/arcade style diversion from the buying and selling arbitrage of the main game. 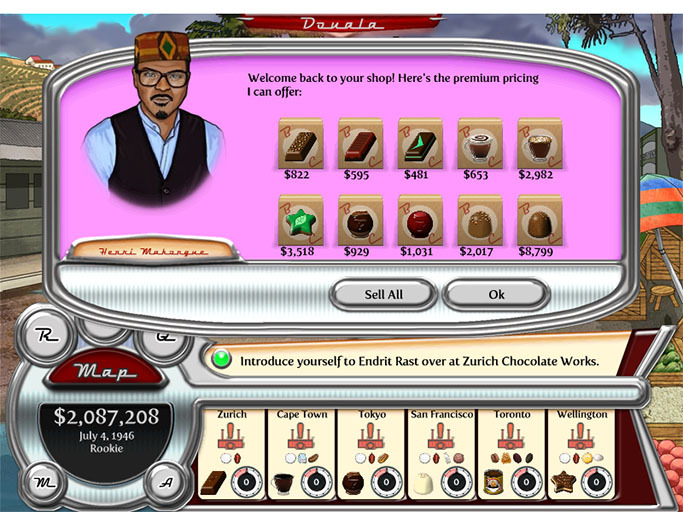 The mini-game is actually an important aspect of the economic sim as it sets the production speed of a chocolate factory each time the player changes the recipe. Selling finished cases of chocolates to a shop in Douala, Cameroon. Chocolatier III introduced the concept of a “test kitchen”. 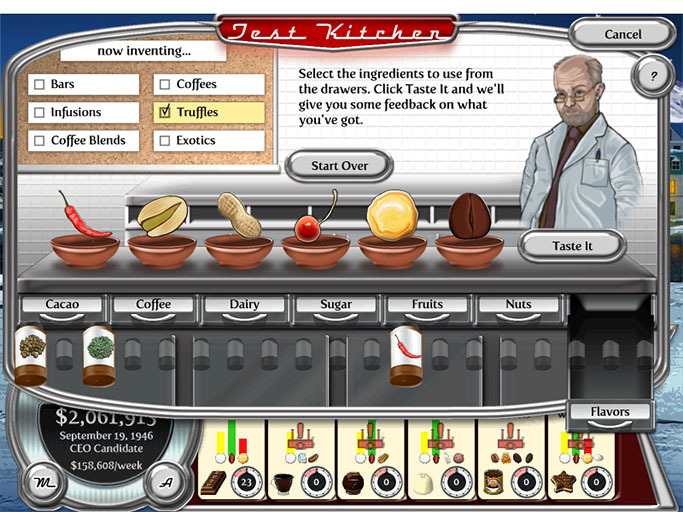 During the course of the game the player discovers and collects new ingredients that are then brought to the Test Kitchen in a secret location. 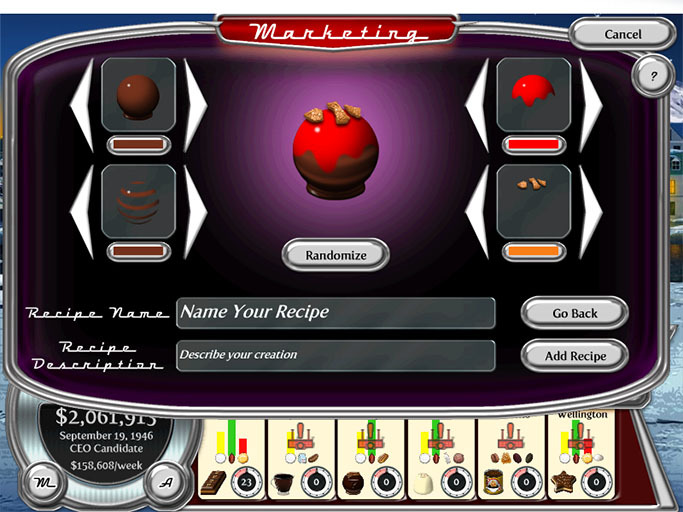 Here the player experiments with their own combinations of ingredients to invent brand new recipes not found in the game. 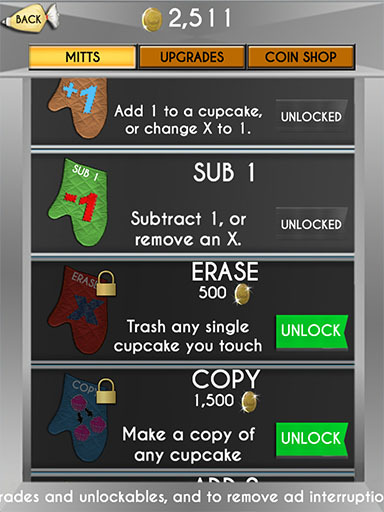 After creating a new recipe the player uses an interface to design the look and name of their new creation. This new item is then added to their recipe collection and can be manufactured in their factories just like any other recipe. 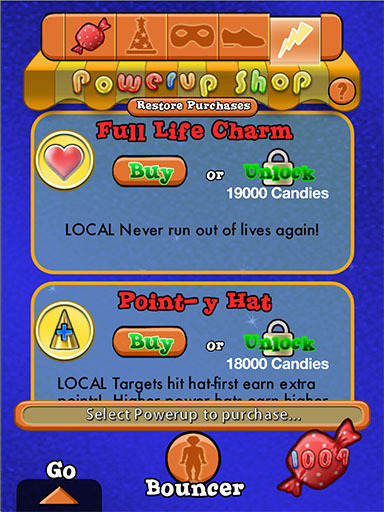 Player’s inventions typically command higher prices in the shops! Another option when buying ingredients is haggling for the best prices. The haggling interface is simple, and the logic under the hood simpler still, but it was a very popular feature with players. Love Ahoy! 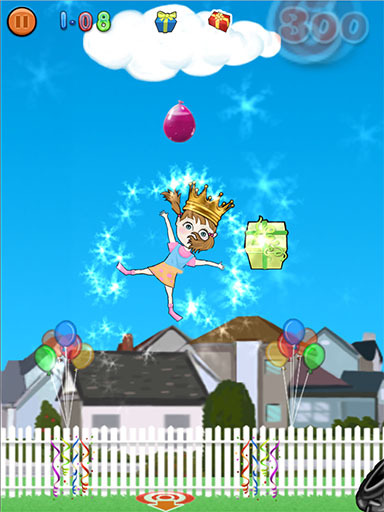 is a downloadable casual game developed and self-published by Big Splash Games. 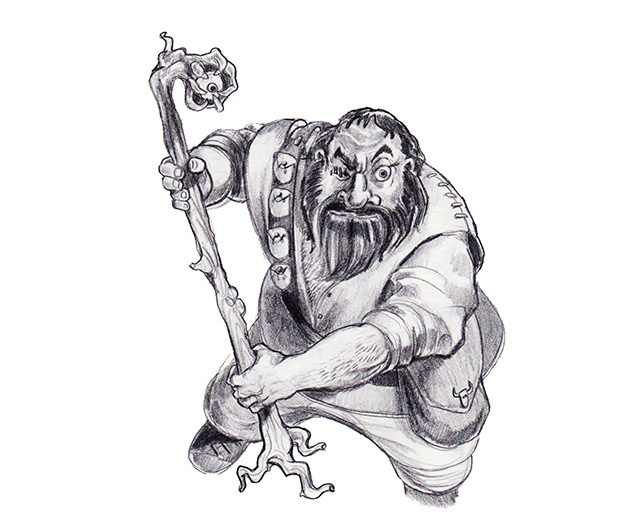 As with the Chocolatier series, I served both as co-game designer and art director. I was also responsible for creating nearly all of the art, including several 2D ship backgrounds and a character animation system that used layered pre-rendered 3D graphics to generate endless combinations of characters. 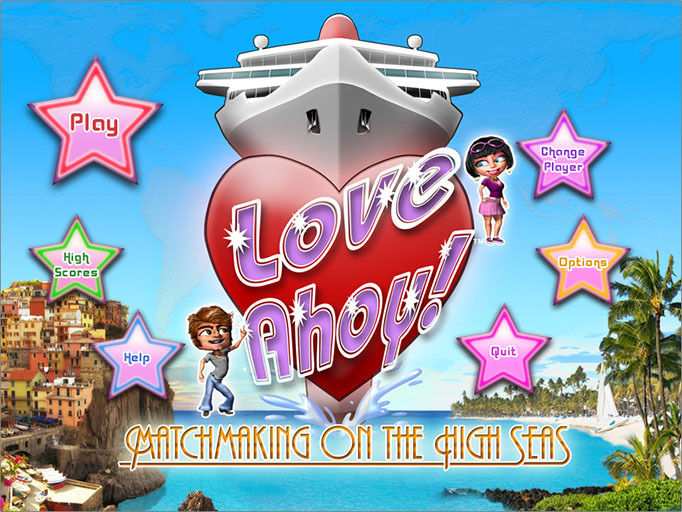 The Main Menu screen of Love Ahoy! 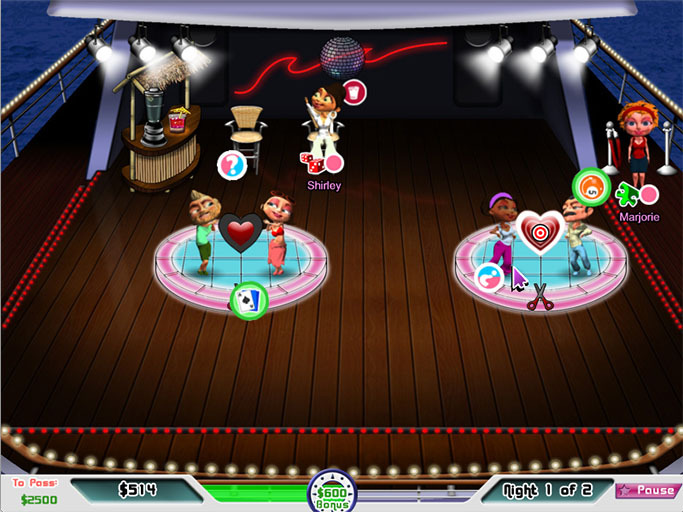 Players attempt to match compatible couples during a multi-day ship cruise with two distinct phases of play, a daytime conversation mode, and a nighttime disco dance mode. During the “Day” phase the player discover each character’s interests by pairing them up in conversations. 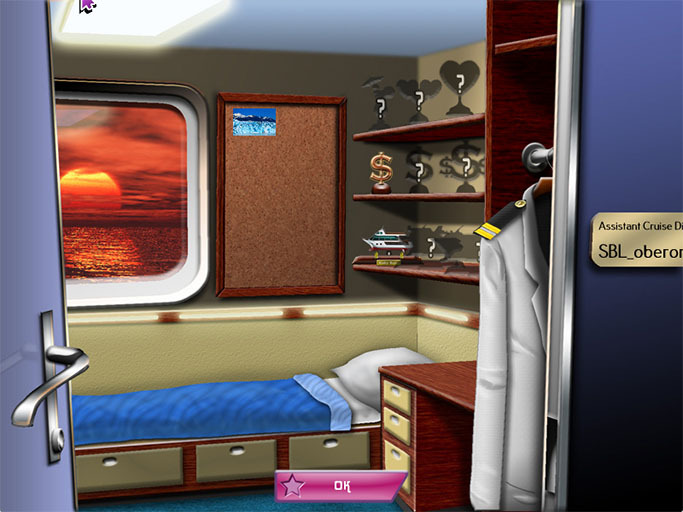 The player moves the characters around to various locations of the ship sparking animated, graphical conversations that reveal characters’ preferences for a set topic, such as “pets” or “shoes”. Characters with compatible preferences will make better romantic matches. The second phase of the the game occurs at night at an on-ship disco. Players attempt to pair up the most compatible couples on the dance floor. Drinks can also be served to help less compatible couples dance. On the final night of the cruise, perfectly matched partners announce their romantic intentions with a wedding invitation to the player. Preview video of Love Ahoy! 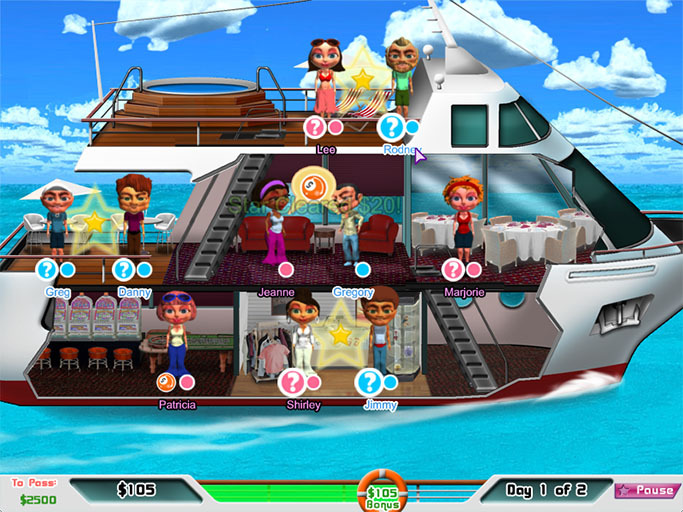 Players attempt to match compatible couples during a multi-day ship cruise with two distinct phases of play, a daytime conversation mode, and a nighttime disco dance mode. 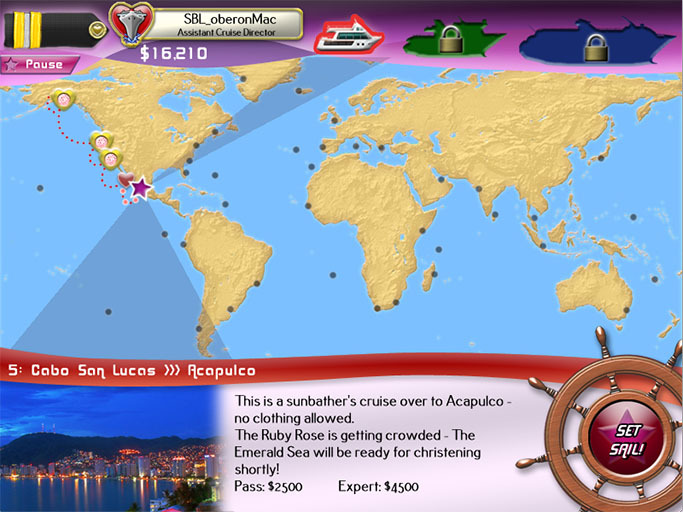 Players measure their progress via a map of connected ports o’ call. A new port is unlocked whenever a level is successfully completed. Player rank also increases and bigger ships are eventually unlocked. 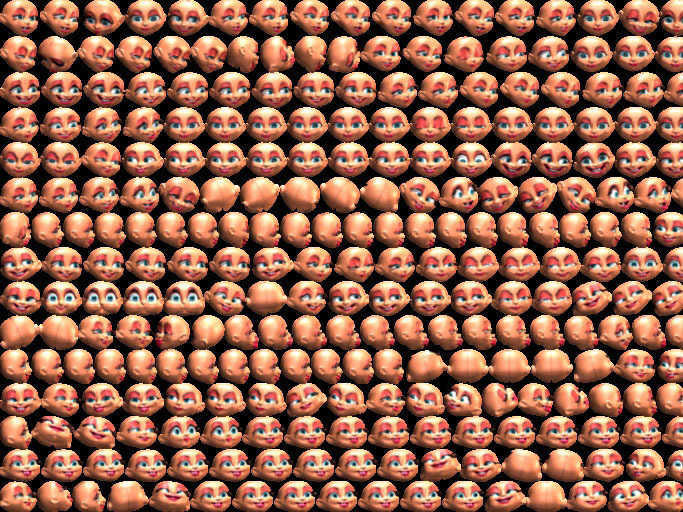 One example of the many pre-rendered sprite sheets used to generate the variety of characters found in game. I used Maya to render the male and female characters composed of head, hair, body, and clothing layers. I also created many character animations including walking, talking, and a variety of dance moves. Clothing and hair layers were color tintable in-game to allow for nearly infinite character variations. Celebrating the introduction of a new ship to the fleet. 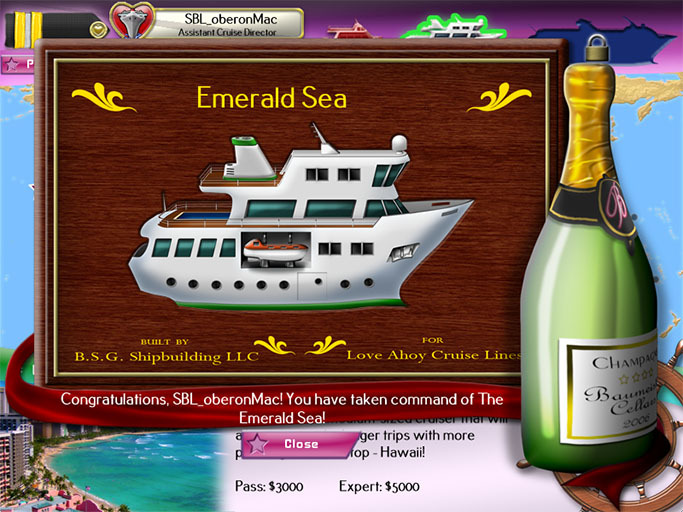 Players can visit their own crew cabin to view awarded achievements and see postcards sent from couples they successfully hooked up on previous voyages. I worked as a 3D artist and animator using Maya on several titles. 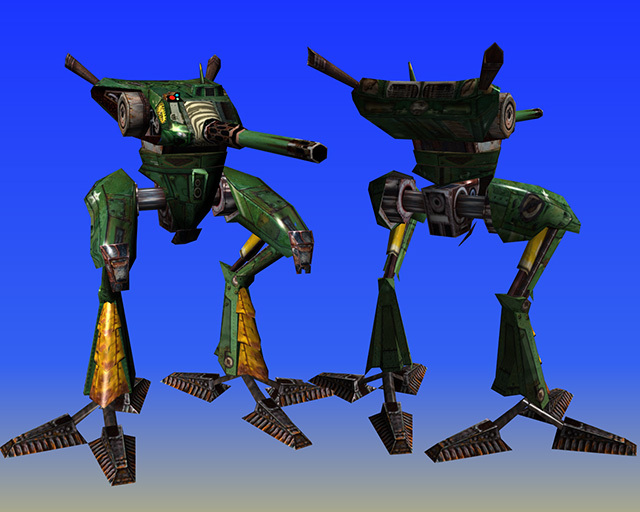 I was responsible for designing, modeling, texturing, rigging, and animating humanoid characters, creatures, hard surfaced models, and particle effects for both real-time 3D game engines as well as pre-rendered sprites. Second Life is the pioneering MMO VR platform, still going strong 13 years after launch. When I started at Linden Lab it was a scrappy startup with only a few employees. I was the sole artist responsible for creating 3D assets for the avatar customization system used by over 40 million “residents”. After launch I was a member of the Content Team creating in-world builds and activities. Alien Front:Online was originally designed as a coin-op arcade game at SEGA of America. It was eventually released for the Dreamcast as the world’s first online console game with real time voice chat. I designed and created low poly 3D vehicles, pre-rendered 3D animated characters, and destructible backgrounds. 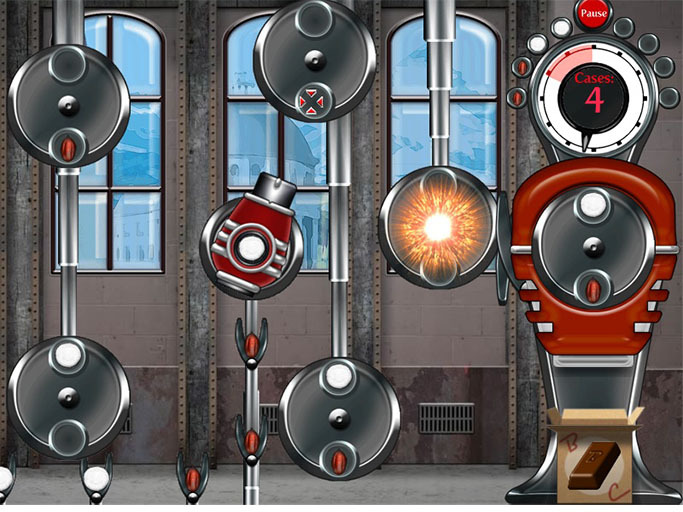 I also created weapons, explosions, particle FX, and conceptualized a coin-op cabinet. 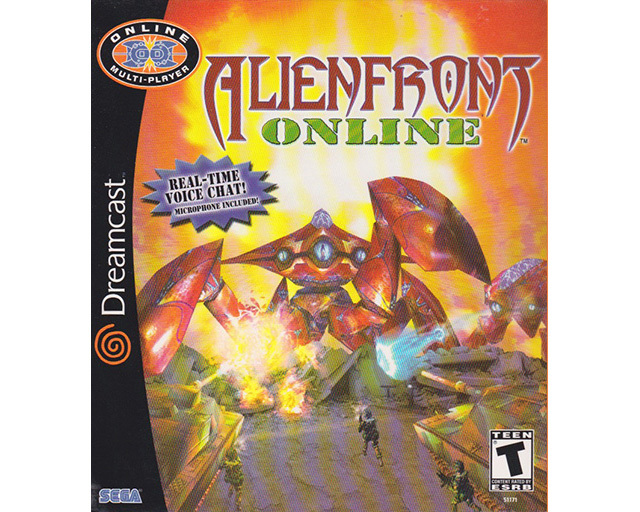 The Dreamcast box for AlienFront:Online. It shipped with a microphone. 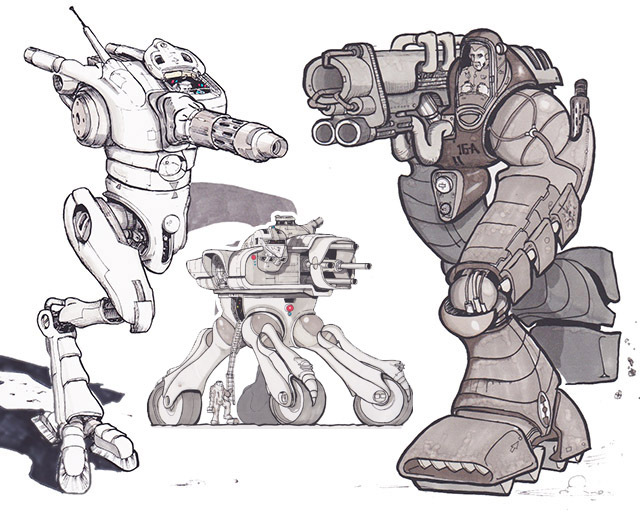 A few examples of concept art I created for 2- and 4-legged walking combat vehicles. Final low poly 2-legged walker. I modeled, textured, and animated this and other vehicles. 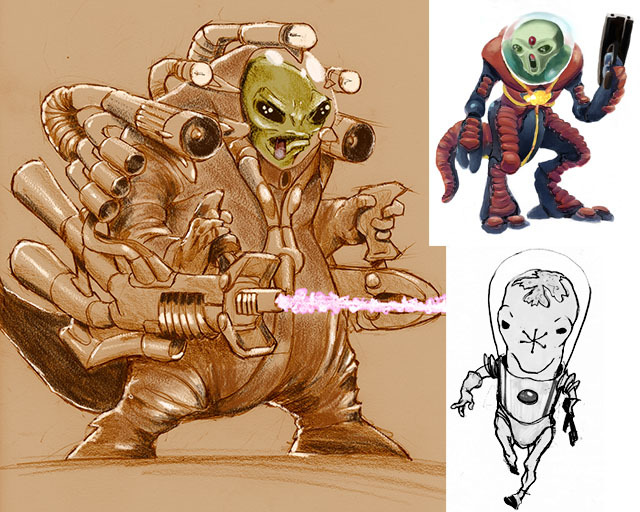 Concept sketches for alien ground troops. 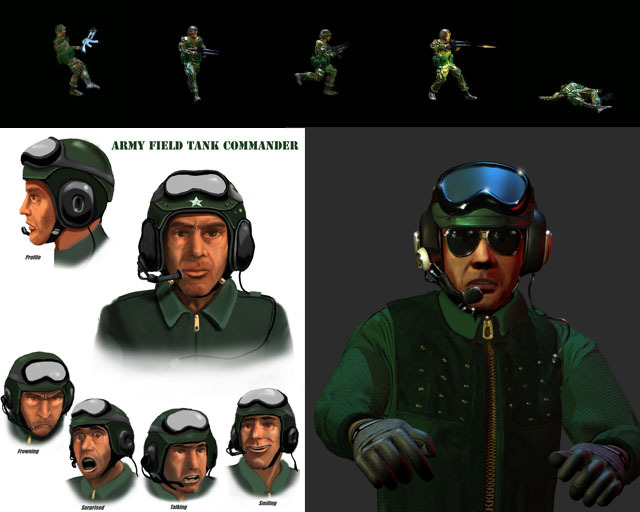 I designed, modeled, textured, and animated pre-rendered 3D sprite foot soldiers as well as a tank commander character. 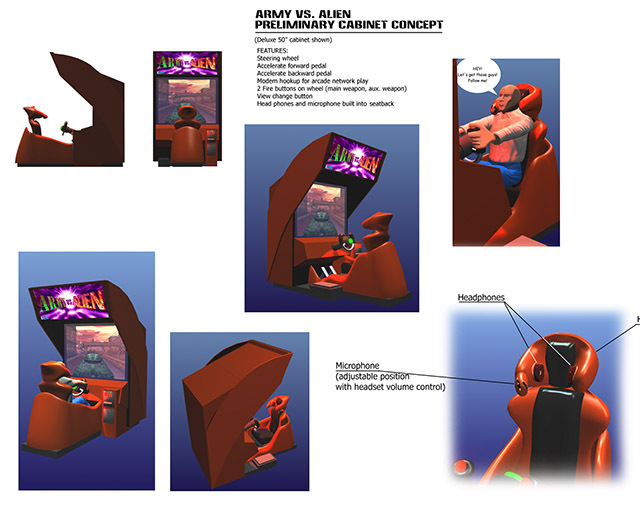 3D concept art for coin-op arcade cabinet with networked voice chat. Gameplay video. I modeled and textured a few vehicles, created most of the 3D poly weapons and explosions (including the tactical nuke), 2D sprite animations, modeled and textured some of the D.C. background, and animated alien vehicle death animations. 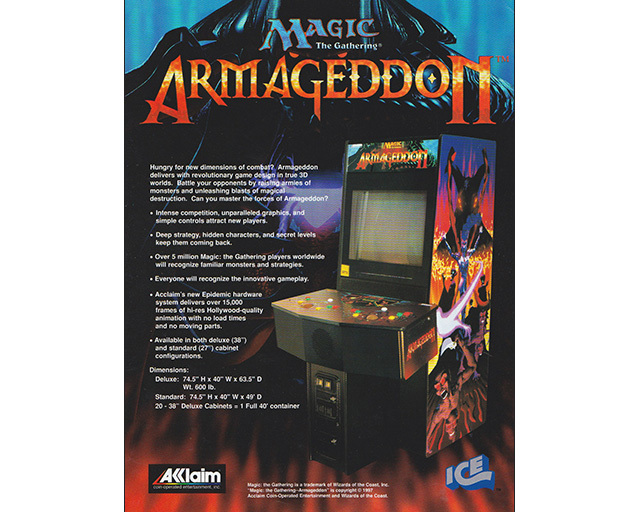 Armageddon was a coin-op arcade game developed at Acclaim Entertainment’s coin-op division. Licensed from the hugely popular combat card game Magic: The Gathering, the arcade version featured fast paced real time creature combat and spell casting. In my roll as Senior 3D artist I designed, modeled, textured, and animated several pre-rendered creatures and wizard characters, particle effects, and real time 3D backgrounds. I also contributed to game design and extensive play testing. Some of the earliest titles I worked on shipped on a couple floppy disks inside a giant cardboard box. To be kind to myself I call these “classic” games. 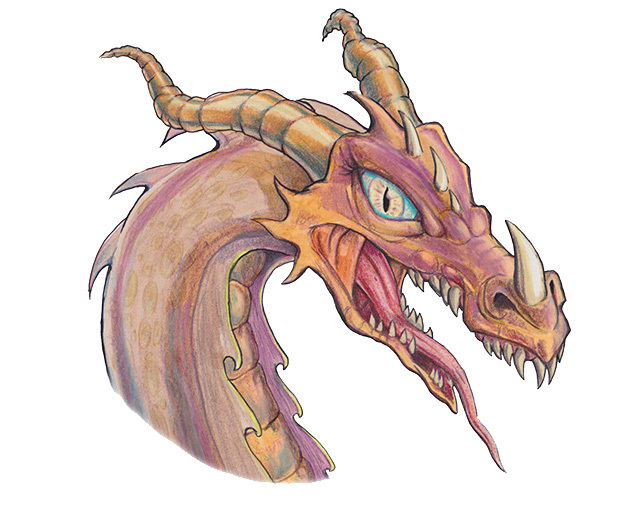 I created art and animation using ancient pixel pushing software like Deluxe Paint on an Amiga. I look back on these titles with nostalgia for a simpler era in the game industry. This Lode Runner was the first reboot of the classic ‘80s computer game. It was a popular title in its own right and several sequels and ports were produced. I was hired to create 2D sprite animations for the Runner and Mad Monk characters as well as animate several short comedic interstitials used to introduce new features. Rocket Boy was a game intended for launch on the Sega CD and Sega Saturn consoles, developed by Rocket Science Games. It was a short gig, and the game never shipped, but it was my first experience creating 3D graphics for games. Battle Bugs was a pioneering real time tactics (RTT) game developed at Epyx and published by Sierra Online. We were a team of only 2 artists and 1 programmer. Credited as co-game designer and artist I designed and animated 2D characters as well as tiled and full screen backgrounds. Fun times pushing pixels from a palette of 16 fabulous colors!